A basic courtroom drama, The Whole Truth is shallow and fairly rudimentary. In Louisiana, defence attorney Richard Ramsay (Keanu Reeves) is representing seventeen year old Mike Lassiter (Gabriel Basso), accused of stabbing his businessman father Boone (Jim Belushi) to death. Richard is a family friend of the Lassiters, including Boone's widow Loretta (Renée Zellweger), but Mike refused to say anything ahead of the trial, hampering defence preparations. 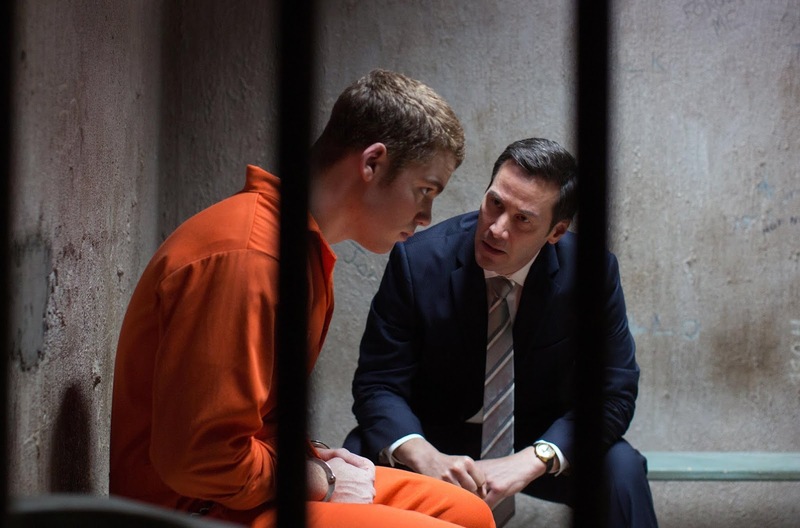 The trial starts and prosecutor Leblanc (Jim Klock) has a strong case, with Mike having been found over his father's dead body and all but admitting to the murder. But in surprise testimony by Loretta and Mike himself, a more complex picture of events starts to emerge. Richard's inexperienced but perceptive assistant Janelle Brady (Gugu Mbatha-Raw) starts to suspect there is more to the case than is being revealed in court. It's only a better-than-average cast that keeps The Whole Truth away from television movie-of-the-week territory, and even then the film barely proves worthy of any other designation. Directed by Courtney Hunt and written by Nicholas Kazan, the first-draft level script sets up for one big revelation and another twist in the tail, but forgets all the basics along the way. The courtroom proceedings are sloppy in the extreme, testimony is accepted without corroboration or evidence, both lawyers awful in representing their case. 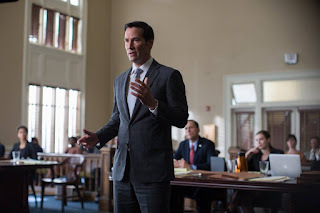 The script is more interested in placing first Loretta and then Mike on the witness stand with no foreknowledge as to what they will say, and the flashback recreations, as well as the dull narration by Ramsay, are of no help: they change according to each subsequent unreliable witness. It all leads to a rushed and awkwardly explained final curve intended to shock but in reality and as presented, makes little sense. Keanu Reeves is more bland and blank than usual, his narration exceptionally unsuitable, aiming and totally missing a noir vibe. Zellweger and Mbatha-Raw fare better, but both their roles are underwritten. Belushi boorishly trundles through the flashback scenery as Boone, amplifying the deserved-victim designation. The rest of the cast members struggle to step over the amateur bar. The Whole Truth is courtroom light, and deserves to be cited for contempt due to under preparation.